"Compostela is a residential project just minutes from the city of Merida, Mexico. It is directed to people who have a demanding lifestyle, and who are looking to start creating a future for themselves and their families." 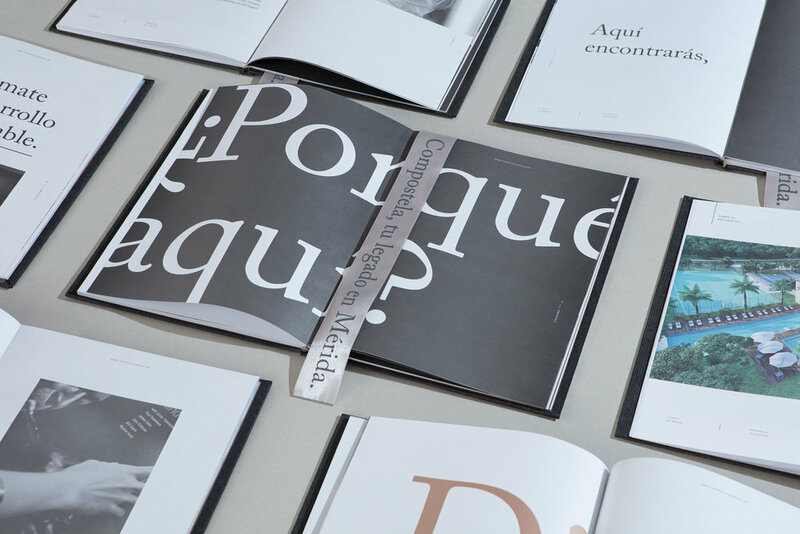 "For the whole project, we wanted to transmit the aesthetic and cultural value of Prehispanic Mexico taking as a starting point the aspirational concept of that time. Through materials, shapes and colors, we seek to reinterpret the Mayan worldview in contemporary Mexico. This civilization stood out enormously in mathematics and astronomy, taking this as inspiration, we created the name 'Compostela', field of stars." "We designed an emblem with inspiration in old symbols that generated respect, admiration and aspiration. It was sought that the outline was detailed to accentuate the value of craft work. The jaguar is an animal that can be found in a great variety of objects of the Mayan culture. Passing from earth figures to jade objects. We chose this symbol because it represented power both in the military and in the political sphere. We also designed a very detailed texture, which at first glance is not appreciated but once it is observed carefully, you can discover all the work behind." 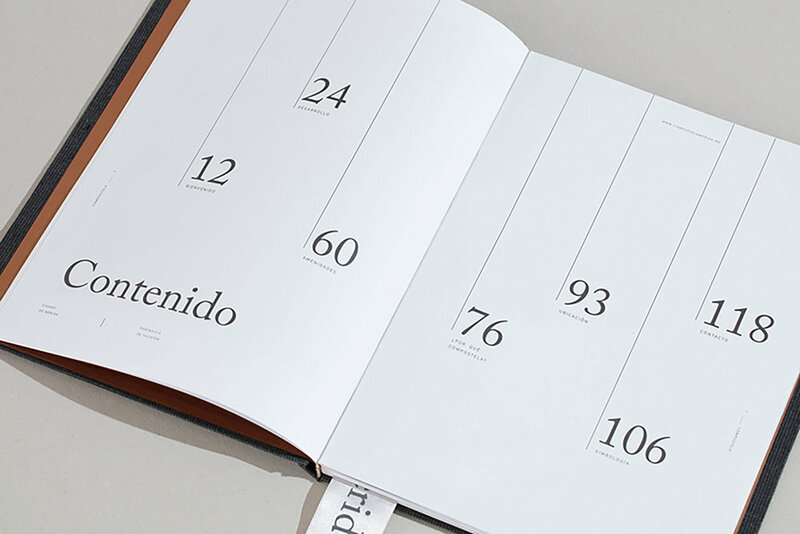 "All this is counteracted by the minimalist and modern editorial design of the sales material. We managed to create a distinguished and authentic brand. Compostela, your legacy in Merida."